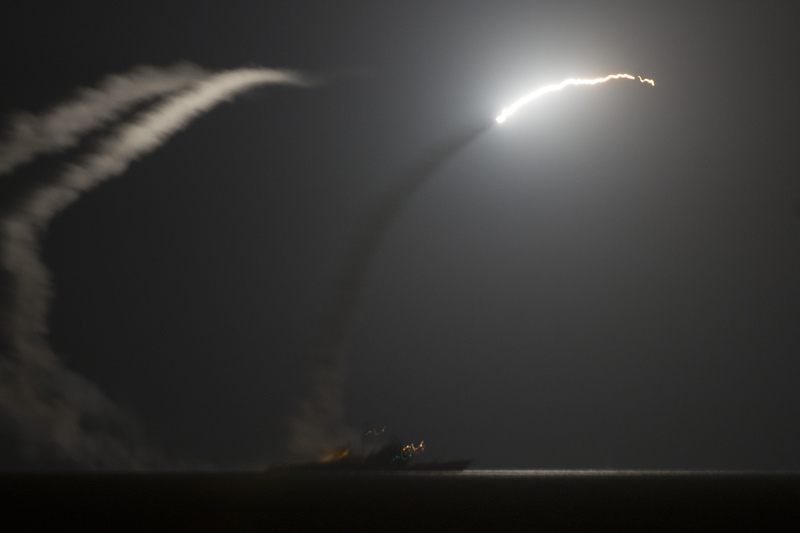 CAPITOL HILL – The Navy has a new Offensive Missile Strategy that replaces an older and narrower plan and tackles offensive lethality in a three-pronged fashion: sustaining current systems, enhancing current systems and developing next-generation weapons to address future threats. This Offensive Missile Strategy replaces a former Cruise Missile Strategy and now lumps together all non-nuclear offensive strike missiles with ranges greater than 50 nautical miles, according to written testimony the Navy provided the Senate Armed Services Committee. The Navy’s plan, which is classified, has “a strong focus on delivering ‘multi-domain’ capabilities,” according to the testimony. “The OMS construct supports a wider, more systematic approach towards delivering a capabilities balance to increase overall force effectiveness to address emerging threats. The DoN will evaluate the OMS via an iterative process. We will review existing and developing capabilities, leverage analytical processes/study updates, and assess threat/intelligence report updates to inform annual RDT&E and procurement funding priorities to achieve an optimal mix of offensive strike missile system capabilities,” the document reads. “Our OMS construct has three pillars. First, the Navy will sustain relevant weapon systems. Our objective is to preserve the readiness and capacity of our key strike weapons inventories. Second, we will pursue strike weapon capability enhancements. Under this initiative, we will develop near-term capability upgrades to enhance existing weapons that provide critical improvements to our current long-range strike weapons capabilities (e.g. 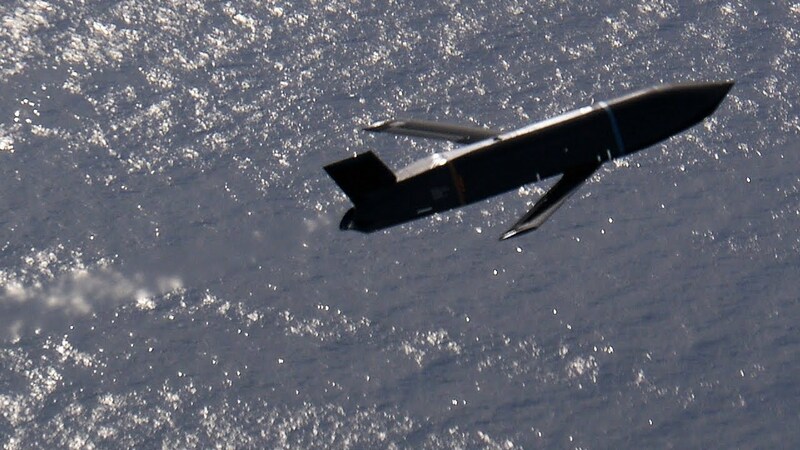 Maritime Strike Tomahawk, new Tomahawk warhead (Joint Multiple Effects Warhead System), LRASM V1.1, SM-6/Block 1B, and the Naval Strike Missile. Third, we will develop next-generation strike missile capabilities to address emerging threats,” it continues. The written testimony then dives into updates on many current and future weapons programs and how the Fiscal Year 2020 budget request supports them. Highlighting the multi-pronged approach is the Next Generation Land Attack Weapon (NGLAW) and Offensive Anti-Surface Warfare (OASuW) efforts. The FY 2020 budget request asks for $143.2 million to buy the weapons and another $65.4 million to already begin researching a LRASM 1.1 variant with additional capabilities “to bridge the gap until an OASuW Increment 2 program of record can be established,” the testimony reads. OASuW Increment 2 is the next-generation capability being researched, compared to the LRASM and V1.1 covering the now and the near-term. Increment 2 looks at defeating threats in 2028 and beyond and will be developed through an open competition. 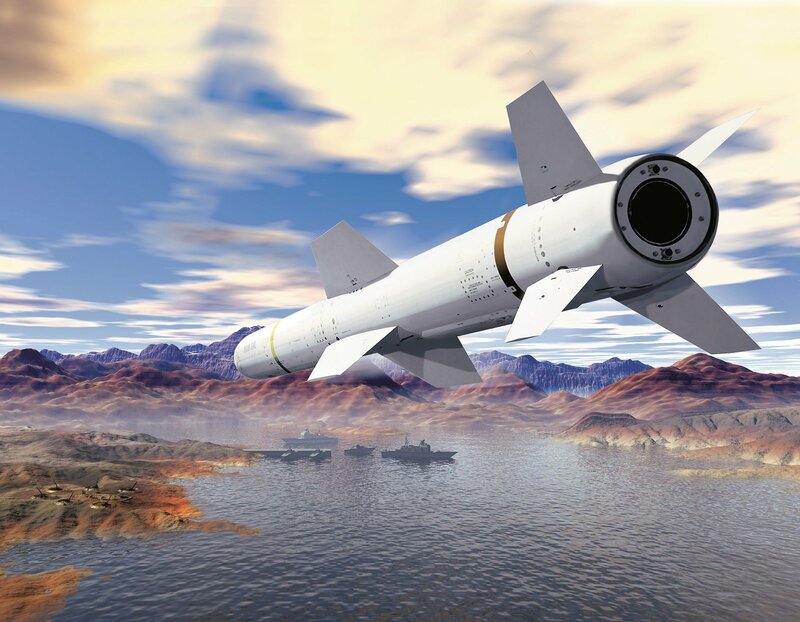 In a nod to the interconnectedness of the weapons within the Offensive Missile Strategy, the Navy will use the Next Generation Land Attack Weapon’s analysis of alternatives to inform OASuW Increment 2 requirements. Whereas OASuW goes after enemy ships, the Next Generation Land Attack Weapon is meant to be launched from ships and submarines to go after “high-priority fixed, stationary and moving targets – as well as those targets hardened, defended or positioned at ranges such that engagement by aviation assets would incur unacceptable risk,” reads the testimony. The AoA for the land-attack weapon has been completed already, and the OASuW Increment 2 AOA study will be completed in 2019 to support the program’s initial operational capability in 2028 to 2030, the testimony notes. $386.7 million was requested to buy 90 all-up-round missiles, 156 navigation and communications kits and 20 Maritime Strike Tomahawk kits, as well as recertify 112 missiles. 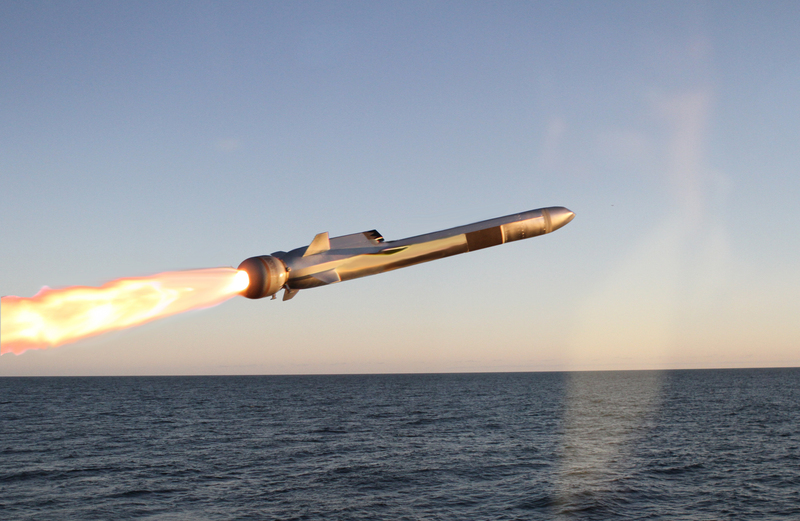 Another key legacy missile program for the Navy is the Harpoon. 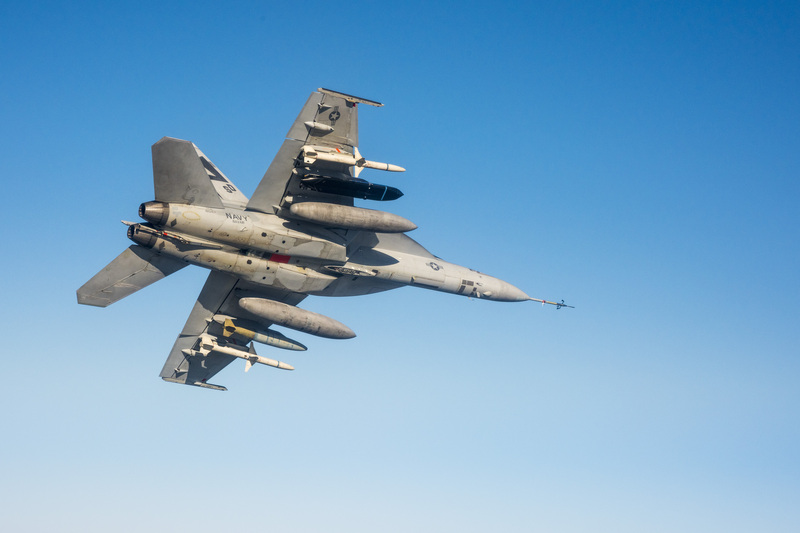 The 2020 budget request invests $25.4 million to buy 70 modification kits to take Cold War-era Block IC missiles and upgrade them to the Harpoon II+ configuration for use from the F/A-18 E/F Super Hornet and P-8A Poseidon aircraft. The budget request also covers integrating the Joint Air-to-Ground Missile (JAGM) with the AH-1Z Viper helicopter, integrating the Small Diameter Bomb II onto the Super Hornet and F-35 Joint Strike Fighter, and working on a Sidewinder Air-Intercept Missile (AIM-9X) hardware redesign to address obsolescence.